Dreams, foretelling the future, meeting the dead in dreams, numbers that follow you around, co-incidences, having a casual wish materialize, being in the right place at the right time, following your intuition, seeing future events while awake, seeing words you spoke bring your desire; experiencing angels, demons, spirit guides, astral travel, receiving accurate advice from deceased friends and relatives. If you have experienced any of these, we have a lot in common. 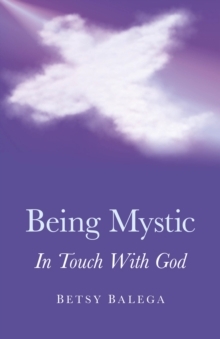 If not, after reading Being Mystic, be prepared to make your own break through The Veil. Enjoy your journey from the world we see into the supernatural one that surrounds us.